We take pride in separating ourselves from the rest by providing superior customer service with incomparable knowledge, skills, and technique in our trade without the skyhigh cost. 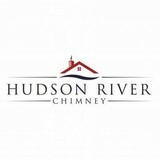 At Hudson River Chimney we believe if you do right by a customer the first time you win their business for life. Let us be your chimney/fireplace specialist for life. Caps & Dampers, LLC is a local, family-owned business based in West Hartford. Annual cleaning and inspection of your chimney and furnace are imperative to keeping your home exhaust system running safely and efficiently. We take this very seriously and we'll make sure your chimney is functioning properly. If it's repairing damage or helping to keep animals and weather out of your home, if a chimney is involved, we are your solution. We are Central Connecticut’s Premier Masonry, Fireplace and Chimney Sweep Contractor. 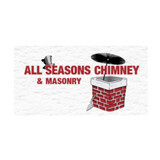 Specializing in all aspects of masonry building and repair including chimneys. Conveniently located in the Unionville section of Farmington, CT. Our chimney sweep division is among the finest in the industry. Our sweeps have extensive experience with selling & installing wood & pellet stoves, chimney sweeps, repairs, liners, chimney caps, dampers, flashing, chase covers, gutter cleaning and dryer vent cleaning & installation. 3G Chimney, LLC has been servicing Northwestern Connecticut for over 25 years.Our excellent service and quality work generated over 17 000 satisfied customers whose appreciation is the best expressed by voting us The Best Chimney Service in Northwestern Corner for twelve straight years in local newspapers.As a team of experts for chimney repair and maintenance, we use the latest, most sophisticated diagnostic equipment for efficient and accurate evaluation of the venting system and house environment.Color video camera for scanning and recording interior of the chimney and electronic, digital meters to evaluate air pressure, draft, and CO level are some of the tools we use to assure the safety of our customers.There is nothing more rewarding than satisfied customer for life. Having that in mind we always make sure that our service is professional in any aspect as well as neat and clean.We use the top of the art HEPA filtered vacuum cleaners to control the dust and clean drop cloths on every job, always leaving the worksite clean or even cleaner than found at the beginning.Beside the maintenance we offer wide array of masonry services.Custom design and construction of fireplaces and chimneys, walkways, steps, patios, etc in rich varieties of brick and stone has been for years our domain.We specialize in historical renovation and reconstruction.Many of our chimneys complement the character of an old house they are built in by their matching appearance and modern design of the venting system that provides safe and proper operation. Our knowledge and experience in the field was used on many occasions.Our proudest project to date was renovation of the venting system at Mark Twain’s House in Hartford. Caps & Dampers, LLC is a local, family-owned business based in West Hartford. 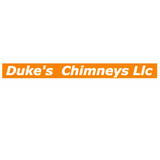 We love chimneys and are thrilled to be your chimney solution. Call us, email, write us a letter, play us a song, and we’ll send one of our super knowledgeable and dedicated chimney experts out to help. Annual cleaning and inspection of your chimney and furnace are imperative to keeping your home exhaust system running safely and efficiently. We take this very seriously and we’ll make sure your chimney is functioning properly. If it’s repairing damage or helping to keep animals and weather out of your home, if a chimney is involved, we are your solution. We can even help with a variety of other routine home maintenance services. Routine maintenance will save you money! 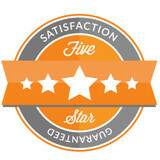 Welcome to O’Connell Chimney Experts, Inc. - where quality products meet outstanding customer service. Family Owned and Operated Since 1930 Serving the towns of Stamford, Greenwich, Darien, New Canaan, Norwalk, Westport, Weston, Wilton, Fairfield, Bridgeport, Stratford, Trumbull, Easton, Monroe, Shelton, Newtown, Danbury, Ridgefield, Georgetown, Redding, Bethel, Brookfield & Fairfield, CT. We truly are experts in the field of chimney installation, cleaning and repairs. We know the value and safety of properly maintaining chimney flues. We also strive to educate our customers on the benefits of using the fireplaces on a regular basis to conserve their energy usage. Why do I need to hire a chimney cleaner in Gaylordsville, CT? Fireplace cleaning always seems like a messy task, and that’s because it is. Creosote, better known as soot, forms when wood is not properly burned — unburned tar vapors stick in the flue, or walls, and are tricky to clean but can lead to chimney fires if not taken care of. In fact, about a quarter of all residential fires that occur in the United States are caused by creosote buildup. That fact alone should motivate you hire a Gaylordsville chimney sweep as soon as possible! Other common problems that a fireplace and chimney inspection should catch are damaged or decaying mortar and joints, leaks that let in air or water, and even animal extraction. Chimney repair is an important part of keeping your entire Gaylordsville home safe and sound, so keep yours in tiptop shape to reap its benefits safely. The Chimney Safety Institute of America actually certifies chimney sweeps, so you know if they are CSIA certified that they will do a good (and safe) job. It’s recommended that you get a full chimney inspection once a year at least, so don’t hesitate to call a chimney service in Gaylordsville, CT at any point during the year if you suspect something is not quite right. Find Gaylordsville chimney cleaners on Houzz. Narrow your search in the Professionals section of the website to local chimney cleaning services in Gaylordsville, CT and read reviews and ratings to find one that fits your needs.